Massachusetts has passed an equal pay law prohibiting employers from asking prospective hires about their salary histories until after they make a job offer that includes compensation, unless the applicants voluntarily disclose the information. Many employers require applicants to provide a salary history during the initial steps of the hiring process, usually to determine how much they should be paid and whether the employer can afford their salary. This process can disadvantage women who often experience pay disparity in comparison to their male counterparts. The new law also mandates that employers pay men and women the same not just when they do the exact same work, but when their work is "comparable." Most laws only require men and women in the exact same job to be paid equally. 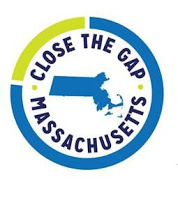 Massachusetts's defines comparable work as being "substantially similar" in skill, effort, responsibility, and working conditions — not just based on job titles or descriptions. It does, however, allow for differing pay scales based on seniority — so long as a lack of seniority for a female employee isn't related to pregnancy or family leave — merit, production, geography, education, experience, or training.